Tablet and other devices can be connected to the USB port and charged. 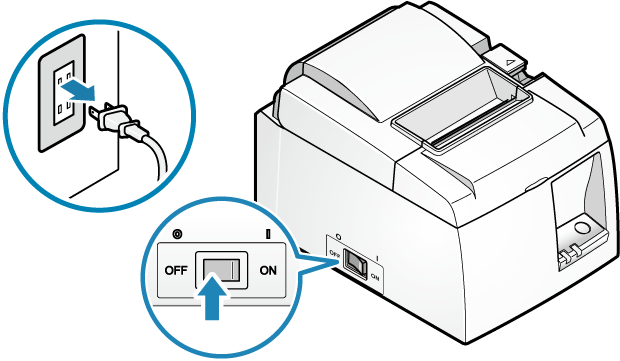 In addition, the optional buzzer and cash drawer can be connected to the external device drive connector, and used in connection with the printer. Connect the cable you use with tablets and USB devices to the USB port (1.0A) to charge your USB devices. A USB cable is not included in the accessories. Use a commercially available (or one included with the USB device) USB cable. 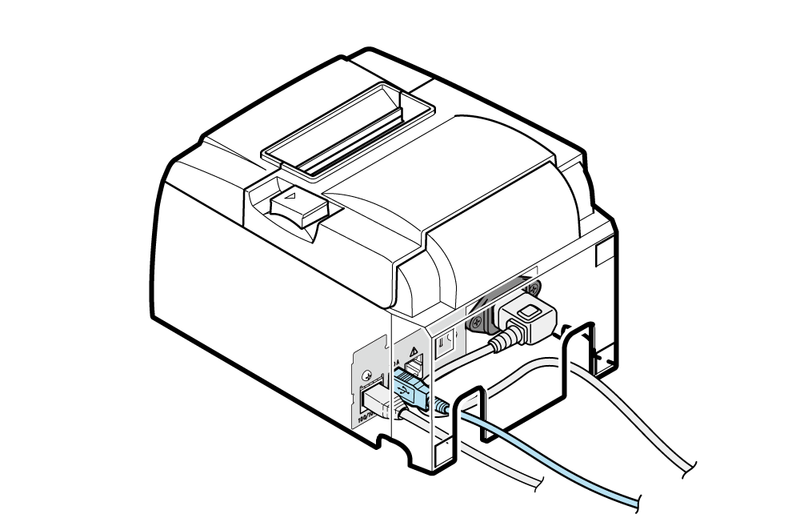 Connect the USB cable connector to the port located on the bottom of the printer. Communication with the printer via a USB port (1.0A) is not possible. Depending on the type of tablet used, charging may not be possible. If so, please use the charger included with the USB device. There are 4 cable outlets to the right/left/back, and they can be wired according to where the printer is placed. By connecting a buzzer (option) and cash drawer (sold separately), you can make a buzzer sound or a cash drawer open when operating the printer. Settings can be performed using the command or can also be performed by using the TSP100III Windows driver. For details, refer to the Command Specifications or Windows Software Manual. Turn the power of the printer off, and pull the power plug from the electrical outlet. Connect the modular jack connector to the port located on the back of the printer. Cables are not included in the accessories. Use a commercially available cable (or one included with the external device). Do not connect a telephone line to the external device drive connector as it will cause the printer to malfunction. As a safety precaution do not wire so that there is danger that excess voltage is applied to the external device drive connector.